Your friends now have your certificate; they can send secure messages to you. If you want to send secure messages to your friends, you need to have their certificates. 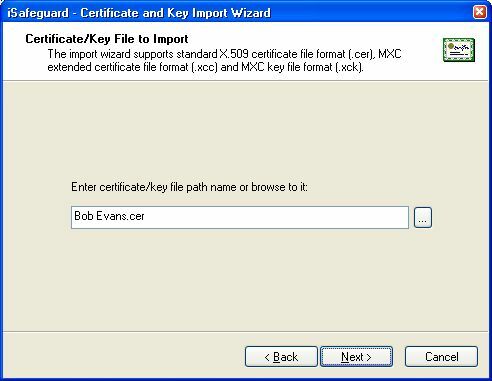 Lets assume that your friend Bob Evans gives you his certificate in a file called Bob Evans.cer. 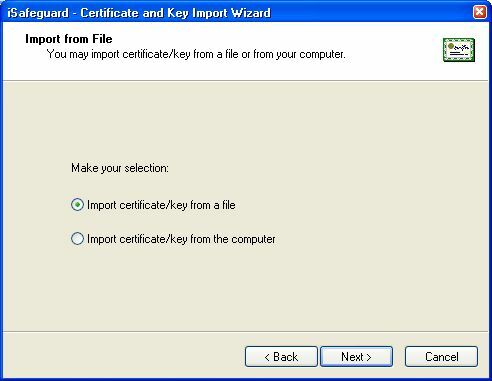 You have two options to import other peoples' certificates. 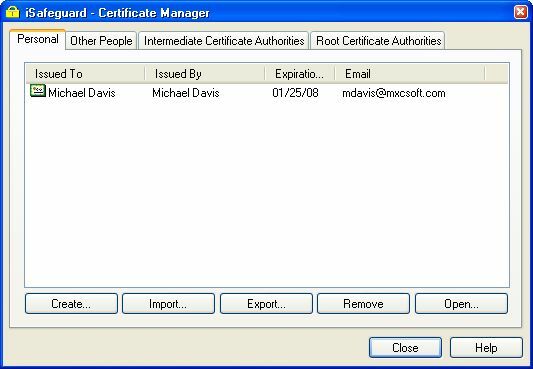 The certificate manager is started and shown below. 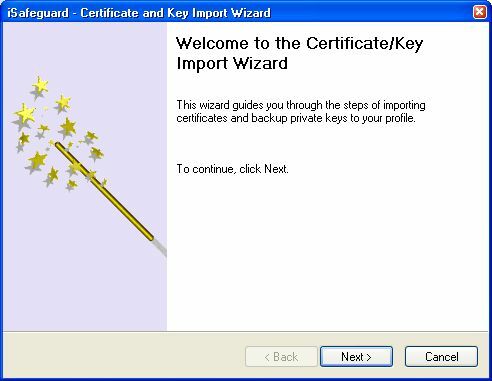 This brings up the Certificate/Key Import Wizard as shown in the following figure. 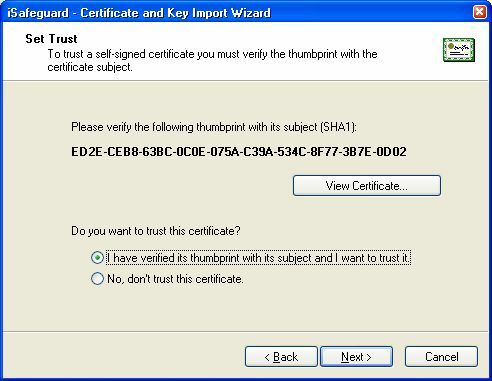 Verify the thumbprint with Bob Evans and then select I have verified its thumbprint with its subject and I want to trust it. 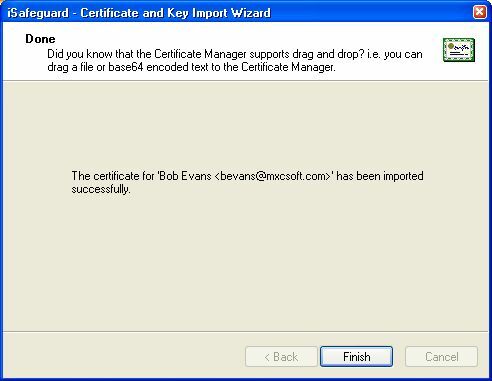 Now Bob Evans's certificate is imported into iSafeguard™ successfully. 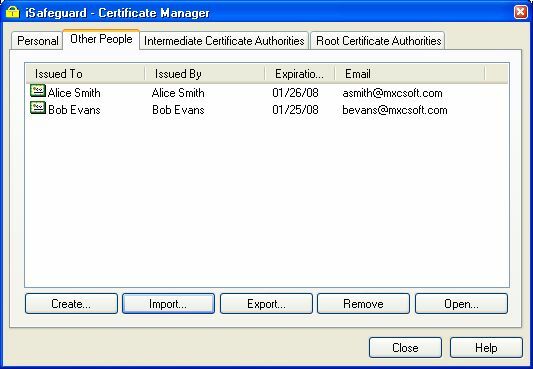 The newly imported certificate is listed in the "Other People" category of the Certificate Manager as shown in the following figure. 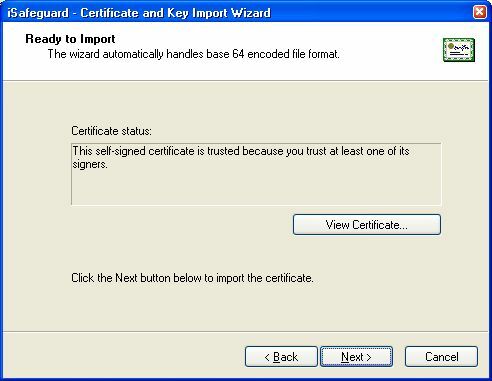 Select the certificate and then click the Open... button. 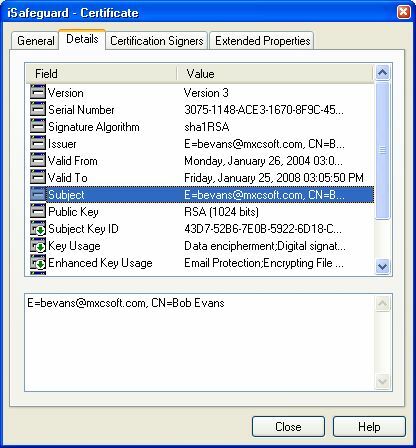 The Certificate Viewer is started and shown in the following figure. Click the Details tab to see more details. You can see that the subject of the certificate is Bob Evans. 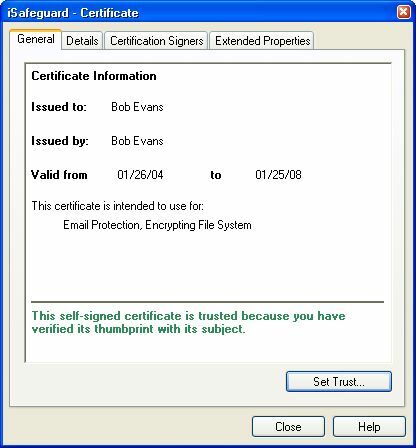 Click on each item to find more information about this certificate.